Finding a job as a teenager can be easy. There are lots of part-time jobs out there like a waiter or restaurant hostess, but those jobs typically require a lot of effort. Finding jobs for 16-year-olds that don't take much effort is a bit harder. Never fear, however, there are still jobs out there for those teenage slackers. People don't like to leave their house alone when they go on vacation or for a long business trip. Whether they need you to water the plants or just turn on the lights at night, you can get paid to watch a person's house. While it isn't the most lucrative career path, you can basically get paid to sit around and watch TV, check the mail and possibly take phone messages. In winter, you might even be needed to turn on the water to make sure the pipes don't freeze. If you are really lucky, they might even leave you snacks. Do you like animals, then working as a pet sitter might be for you. 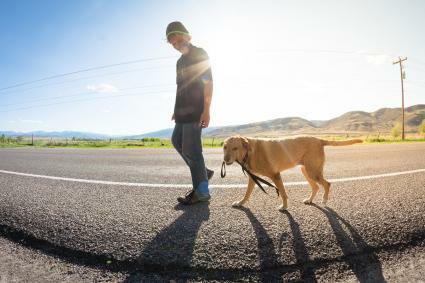 This easy part-time job opportunity requires you to walk, feed, and watch dogs while their owners are away. You also need to take them out and possibly clean the litter. This isn't just for dogs and cats either, you might be hired to feed a snake or check on a lizard. Whatever the case, this part-time job doesn't take much effort and you can take on several clients at once. 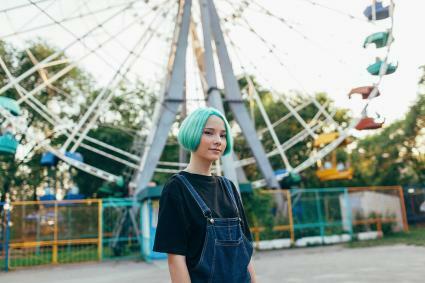 Summertime is a great opportunity to get a job as an amusement park ride operator at a large amusement park like six flags or even a small carnival. You will get paid to check the riders are belted in, announce the start of the ride, push the button to start the ride and make sure the riders exit safely. While this doesn't require a lot of effort on your part, you will need to be comfortable standing and working with people. If you've never done this type of job, don't worry, training is available. Another career choice for teens is a carnival game attendant. This job doesn't take a lot of effort beyond setting up the game and collecting tickets or money. You'll also be required to hand out prizes, attract customers and describe how to play the game. If you work for a carnival that travels, you might need to travel as well. Driving is required for this job. You will be responsible for taking tickets, parking cars and returning tickets. While some clubs and event centers require you to be 18, you can be a parking lot attendant at 16. Some positions don't even require you to park cars but simply direct cars to parking spots and keep traffic flowing. You've seen the people that stand at the counter and take your tickets at events. Well, that could be you. Being a ticket taker at an event simply requires you to control lines and scan or rip tickets. You may also be responsible for checking bags but the effort is minimal in this job. Standing for long periods might be required depending on the duration of the event. Do you like dressing up? What about talking to people? Being an actor at a renaissance fair might be the perfect job for you. This job requires very little effort besides walking around the event and talking to patrons. You might also get the chance to take part in the shows. If you like the renaissance festival scene, this could be the best job ever. Looking for an easy job around the holidays become a gift wrapper. This easy position takes little effort and requires repetitive motions. It is even a job that you could do from home. As you can probably guess, you'll use wrapping paper, bows and other embellishments to make beautiful presents. If you spend most of your waking hours in an arcade, why not work there? This easy position requires you to help with machines, provide change/cards and possibly call technical assistance for broken machines. You also stock and clean machines. Here, you can mix your love of movies with minimal effort and get paid. In addition to taking tickets and roaming the theater, you might help people to their seats and interact with guests. Additional responsibilities might include a bit of sweeping and putting up movie posters, but you get to watch movies as part of your position. Getting a job when you turn 16 is important. However, rather than work as a cook at McDonald's or a cashier at your local grocery store, you might try some of these easy jobs that can be tailored to your interests. No one will pay you to do nothing, but having an easy job in an area you enjoy can make life that much sweeter.